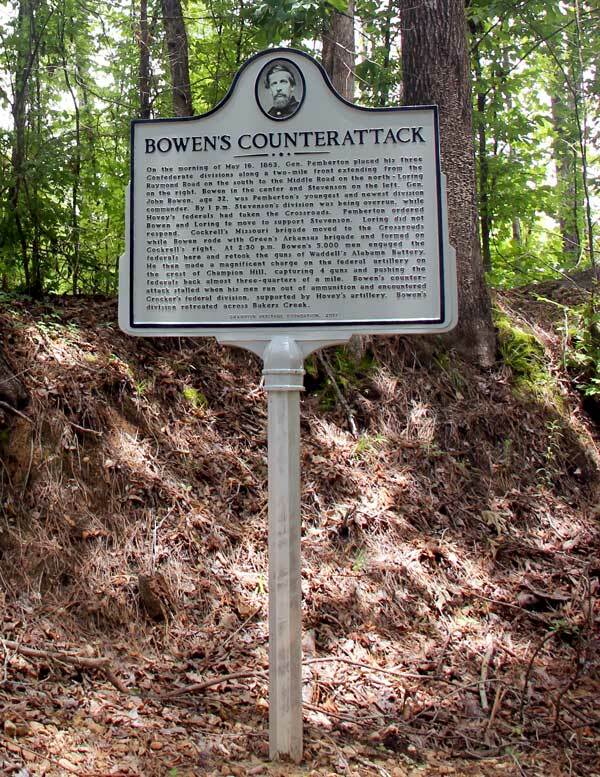 New Historic Marker, "Bowen's Counterattack"
A new historic marker, "Bowen’s Counterattack" was permanently placed at the Crossroads next to the 2013 marker, "The Fight for the Crossroads." 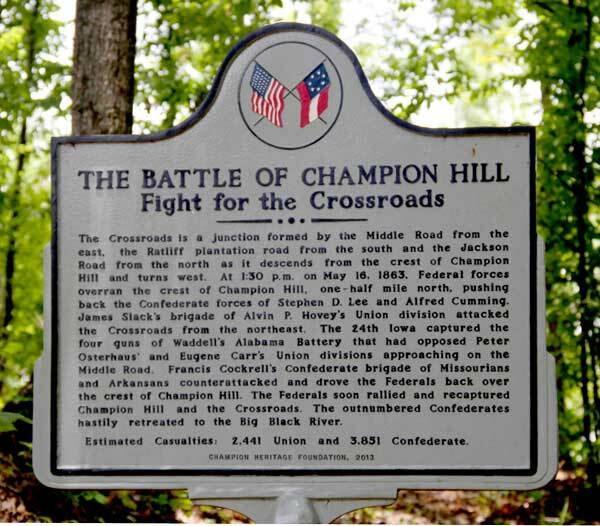 To date, the Champion Heritage Foundation has placed nine historic markers on the battlefield. 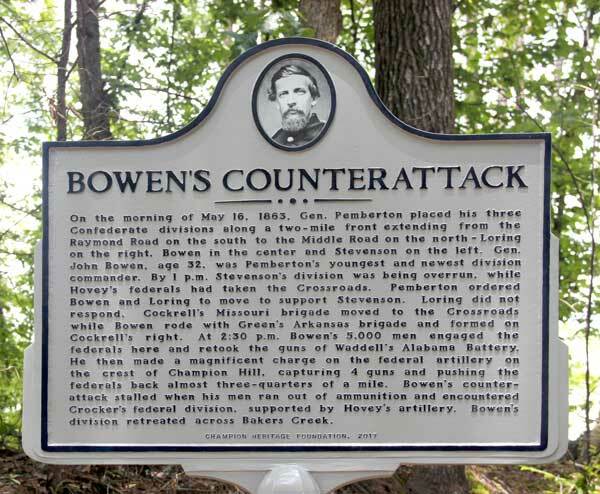 "Bowen’s Counterattack" marker was partially funded by the COL Egbert Jones Camp 357 from Huntsville, Alabama. A special thanks to Gregg and Nathan Miller for spearheading these efforts. Had the event taken place as scheduled on May 20th, members of Huntsville SCV Camp 357 would have had the honor of unveiling the new marker.